Penn Centre for Innovation has created the first-ever guide to commercialization at Penn. 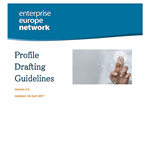 On the website of RCTT under "Manuals" are placed the updated manual of the Enterprise Europe Network (EEN) - EEN Profile Drafting Guidelines (Version 4.2, Updated: 04 April 2017). 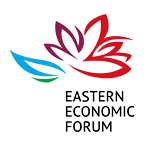 National Academy of Sciences of Belarus will be present at the Eastern Economic Forum. Yet another seminar “Technology Transfer as an Element of the National Innovation Activity” took place in Minsk on 19 July 2017. The event was held at the Institute of Professional Resources in Industry. The seminar was moderated by Dr. Alexander Uspenskiy, Director of the Republican Centre for Technology Transfer, Consortium coordinator of the COSME project “Enterprise Europe Network Belarus”. National Academy of Sciences of Belarus will be present at Internaitonal Trade Show FACIM-2017 in Maputo, Mozambique (27 August to 03 September 2017). In the "Zviazda" Newspaper 11.07.2017 published the interview of Dr. Alexander Uspenskiy, Director of RCTT "How RCTT is promoted of cooperation between developers entrepreneurs and investors". The interview can be downloaded here (in Russian). From 30 June to 1 July 2017, Dr. Alexander Uspenskiy, Director of Republican Centre for Technology Transfer, Consortium coordinator of the COSME project “Enterprise Europe Network Belarus” took part in the exhibition of the IX International investment forum “Mill of success” (Bobruisk, Belarus).